The Engadget review on the Galaxy Note 10.1 is well worth reading. This is a tablet that received a strong level of media attention before it ever even came out. Perhaps the fact that it was featured at Mobile World Congress is the reason for that. Hype is one thing, and it’s certainly a nice way to get excited about an upcoming tablet or other product, but in the end, it’s definitely not going to be enough. Any tablet you ultimately purchase is going to be a considerable investment. The last thing you want to do is put your money into something that simply doesn’t deliver on what it promised. The sheer marketing muscle alone that went into the Galaxy Note 10.1 meant it had a lot of promises to live up to. Promises are fine, but how many of those promises did the Galaxy Note 10.1 actually deliver on? Any review you come across should be able to cut down the hype to show you exactly what’s under the hood. 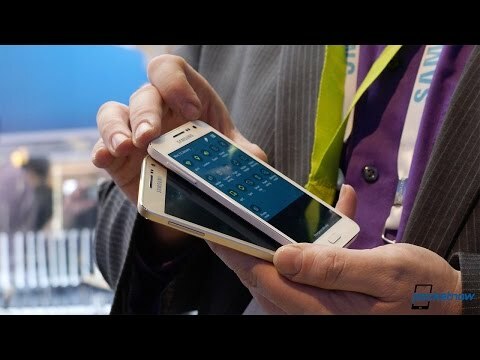 The Engadget review for the Galaxy Note 10.1 is no different. 1. The Galaxy Note 10.1 offers a very strong, fine-tuned S-Pen experience. The pen is light, easy to use, and the tablet itself is responsive to its touch. In this regard, the Galaxy Note 10.1 had done an exceptional job. 2. The overall performance capabilities of this tablet will prove to be very smooth to virtually anyone who takes it out for a spin. Provided you don’t overwhelm the device with tons of tasks and other things, you should be able to use this specific product to handle just about anything life and work might throw at you. 3. Multitasking is absolutely crucial for a table with S-Pen technology. When it comes to the ability to handle a variety of tasks with relative ease, the Galaxy Note 10.1 scores big on this front, as well. You’ll get used to the tablet fairly quickly. You’ll find yourself juggling a number of complex tasks in hardly any time at all. 4. The camera for the Galaxy Note 10.1 isn’t bad by any means, but it’s also not going to be the camera you rely on for all tasks. If you’re the kind of person who needs a device that can let you snap that perfect picture the moment inspiration strikes you, then you’ll want to have something else on hand. The camera does indeed provide good visuals, but using it in this regard can become very frustrating very quickly. There is also a lag between hitting the button and getting the picture that at least some people consider to be absolutely unacceptable. 5. If you don’t like the way this device takes pictures, then you’re definitely not going to be impressed with the way the Galaxy Note 10.1 records video. In comparison to the camera portion of the device, you’re going to find that the results for recording video to be about the same as the results you’ll get from taking pictures. 6. Some of the individuals who have tried out the Galaxy Note 10.1 found the build quality of the device to be a little on the cheap side. To some, it feels like Samsung may have cut a few corners when putting together the exterior of this device. 7. This brings the review back to the photo and video quality mentioned earlier, but the screen resolution overall may not strike you as terribly impressive. If you compare this product to similar devices, you may decide that the resolution overall is a bit lacking. 8. While this indeed a fairly good tablet, in the end the price may prove to be the biggest disqualifier to you. For some, the price would be perhaps more reasonable if the tablet wasn’t lacking in certain regards. Given that it’s not the best tablet on the market, you may find that the price is more than you are willing to pay for something that may not give you everything you need. This is a very good tablet in some regards, but it’s something of a less-than-stellar device in other regards. The tablet delivers in some key ways, but given that it fails to deliver in other ways, you may want to continue your search for a tablet. Keep in mind that this tablet does in fact maintain exceptional performance while handling a variety of tasks. Consider your needs carefully and match them up to the specs associated with the Galaxy Note 10.1 from Samsung. You may find that this particular device has everything you have been looking for in a quality tablet. Anyone who has had to shop for a video card will tell you that it can be one of the most exhausting ventures there is. You need something with considerable performance power. You need the overclocking capabilities to be impressive. You certainly need something that can handle overclocking. If you have a budget to keep in mind, that can make the search for an ideal video card even more exhausting. With all the video cards that are on the market right now, is the GTX 670 really the right way to go? 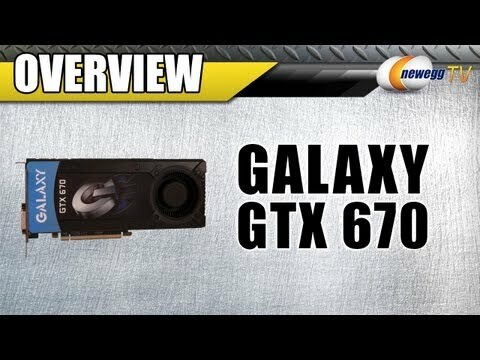 Whether you read a Galaxy GTX 670 review or any other GTX 670 review, the important thing to do is make sure you understand everything that goes along with the review. This should be done in terms of knowing what you’re ultimately going to want from a video card. The GTX 670 as a video card solution has gotten a lot of positive feedback from users and tech industry experts alike. If you focus your search to the Galaxy GeForce GTX 670 GC, you’re going to learn a lot about what is proving to be a very formidable video card with a wide range of individuals. Any video card you ultimately purchase is going to be something of a very serious investment. With that thought alone in mind, any Galaxy GTX 670 review you read should give you a very clear indication of what you’re going to be dealing with when you crack open the box. The Galaxy GeForce GTX 670 GC offers a lot, and it seems as though it delivers on a lot, as well. 1. As the box is going to indicate to you, this product comes factory overclocked. 2. Cooling is naturally going to be a big part of any video card you’re going to consider. To that end, the Galaxy GeForce GTX 670 GC features customized dual fan cooling that comes with an aluminum cover and LED affects. 3. This video card also features quad nickel-plated heat pipes. 4. Additional features that are well worth getting excited about include NVIDIA GPU boost, NVIDIA adaptive vertical syncing, NVIDIA PhysX technology, and NVIDIA surround. 5. Coming in at two pounds, this video card is fairly lightweight. 6. Galaxy GeForce GTX 670 GC promises to be one of the most affordable options available to you, while never for a moment sacrificing anything in the way of quality. Speaking strictly in terms of meeting the demand for an affordable option, it’s easy to see why many people are saying that this product definitely meets that requirement. 7. You’re going to be able to play the games you want to play in extraordinary detail and at the best possible resolution. 8. This video card features support for 1080p, support for Blu-Ray, and support for HDCP. 9. This video card also makes it possible to have all the optimal features turned on for the game you’re playing or the video program you’re running. -You’ll have the ability to obtain full support for up to 4 displays. -This video card features NVIDIA CUDA technology. -This product is NVIDIA 3D Vision and NVIDIA SLI ready. -You will also be pleased to know that this product utilizes Microsoft DirectX 11 with DirectCompute 5.0 support. With video card shopping, it’s naturally important to want to make sure the card you’ve purchased is definitely going to be the card you’re going to be able to use for the foreseeable future. After all, it’s not like you’re getting a lot of potential for trial and error here. You’re putting in the money that goes into purchasing a video card designed to suit your needs. You’re going to have to install it. You’re going to run some tests. You’re going to do a lot just to get to a point of knowing that this is definitely the video card for you. With all that in mind, it’s just common sense to want a video card that’s going to deliver on every single promise it makes. It would seem that you don’t have to worry with the Galaxy GeForce GTX 670 GC. If the specs match up to what you’re looking for, and if the price is exactly what you’re willing to pay (and it should be), then you have certainly found the video card that’s right for you. This card is affordable but packs a lot of strong technology behind its brand name. Which Galaxy CB radio is the best one you can possibly get? That’s naturally going to be something you’ll want to learn from any Galaxy CB radio review you come across. The best CB radios on the market today are going to come loaded with bells and whistles. However, in spite of all the exceptional advances these products have made through the years, the one thing you’re always going to need from any CB radio you ultimately decide to purchase is one thing. You’re always going to need that radio to be reliable. Reliability is crucial in any CB radio you’re considering. 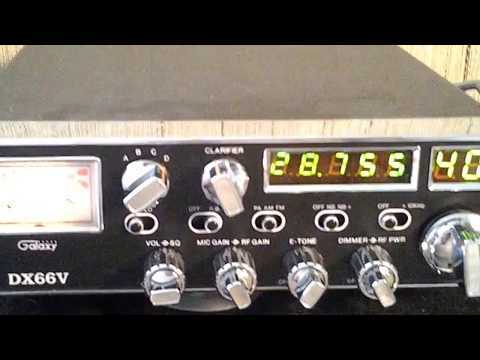 That’s why any CB radio product from Galaxy is well worth a serious look on your part. 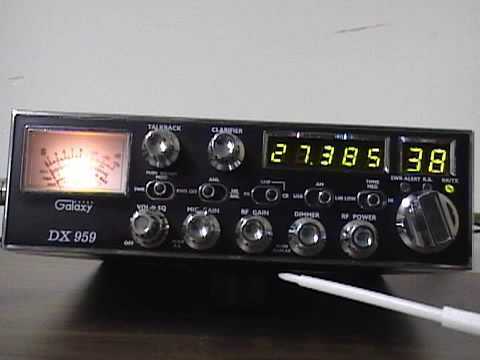 You’re going to come across a number of CB radio products from a number of reputable companies. If you’re a newcomer to the world of CB radio, then finding the right one for your specific needs and budget can be a bit of challenge. Galaxy is one of the first brands you’re going to come across in your research. This is a company with a number of CB radio products that are definitely worth studying. Of all the CB radios currently available from this well-known, high-rated company, the first one that’s worth investigating is the Galaxy DX 979. Although it’s true that Galaxy has a number of radios that are currently available on the market right now, this is perhaps the best one. At the very least, it’s the first from the line of Galaxy CB radios that you’re going to want to take a look at. The Galaxy DX 979 promises to be ideal for those who have to drive at night and for anyone who would consider themselves to be a serious CB user in any regard. One of the reasons why this particular CB radio is considered to be so ideal for those who are working in the night a great deal is because this radio is the only SSB radio that includes backlit display. All the lettering is illuminated through the Galaxy StarLite backlit faceplate. You’re not going to have to worry about trying to get ahold of this radio in the dark. Although this is the smallest CB product with SSB capabilities, you’re not going to have to sacrifice anything in the way of useful features. You’re getting RF gain, PA capabilities, high SWR alert, microphone gain, clarifier control, talk-back, and auto-SWR calibration. The meter is another illuminated aspect to the Galaxy DX 979 that’s definitely going to be very appealing to you. You’ll be able to keep up with modulation, power, and the SWR. Everything is very large and very easy to read, as well. If you need to add a frequency counter, the Galaxy DX 979 will be able to accommodate you with ease. This radio is considered to be ideal for those who are going to be driving semis or pickup trucks. For those who are looking for a radio that can be used in industrial, high impact situations, you’re probably going to want to look elsewhere. The two-year manufacturer’s warranty should give you an excellent peace of mind. The variable dim on the radio is considered to be pretty close to flawless. With a price tag of roughly one-hundred-and-sixty dollars, no one’s going to argue with the opinion that this is one of the most affordable options available to someone looking for a CB radio that has clear, proven performance capabilities. Ask anyone who has had to rely on the Galaxy DX 979, and they will unquestionably give you a really good review. They are certain to mention some of the items mentioned above, and it’s likely that they will throw in a few comments of their own. When you’re looking at any Galaxy CB radio review, it’s important to read the ones that have come from experts. You want to be able to trust that the radio you have ultimately purchased has been used in a variety of situations by someone who knows CB radios and knows what the Galaxy line of products are capable of. Not only are you investing your money in one of these radios, but you’re obviously trusting the radio to keep you alert and aware of your situation and surroundings at all times. It just makes sense to want the very best. It’s just logical to look for a Galaxy CB radio review with information you’ll be able to trust without question. As mentioned before, there are quite a few Galaxy CB radios on the market. It may turn out that your needs demand something else. However, this remains an excellent product to consider. Make this one of your first stops in your search. For a smartphone that has a reasonable amount of features for a fair price, the Samsung Galaxy Ace offers users a decent option. It comes with an FM radio, a digital player, and a digital camera that are all rather useful. The 3.5 inch touchscreen is centered in the middle, but it is a bit small when compared to the overall size of the phone. Offering HVGA resolution and access to the social hub that Samsung has set up to provide news updates, this “cousin” of the primary Galaxy phones takes a minimalistic approach that could pay off big for your today. 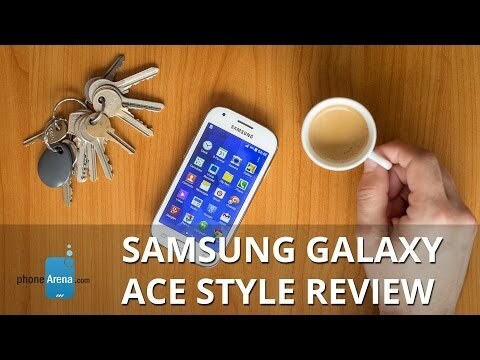 How Is the Performance of the Samsung Galaxy Ace? This smartphone is designed to provide users with just enough power to have a smooth operating experience. It starts with the 800 MHz processor that provides relatively quick web browsing and some limited multitasking. Although the Galaxy Ace isn’t going to compare to the quad core processors that can be found in premium phones today, it is good enough to accomplish most jobs. Users will be able to download apps when they wish, share content with their friends quickly, and thanks to the Wi-Fi, even do that outside of its data plan. The touchscreen is a TFT capacitive Gorilla Glass screen that offers users a 165 PPI pixel density. There is support for 16 million colors, so the quality of the image is decent enough. Images just aren’t as crisp as some users might expect with a modern smartphone. It runs on Android’s Gingerbread operating system. The Swype technology that has been included with the virtual keyboard allows for faster texting and document composition once users get used to the system. By connecting the pattern of keyboard hits, the interface attempts to determine what you’re saying without lifting your finger from the screen. When combined with the predictive inputs, the experience is fairly accurate, even if finger placement isn’t 100% accurate. 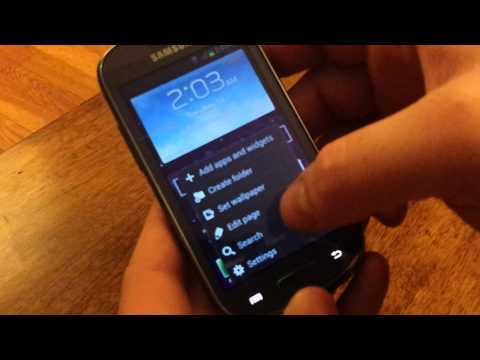 A final advantage in using the Samsung Galaxy Ace is the inclusion of ThinkFree straight out-of-the-box. This gives users the opportunity to create, modify, or read Microsoft Office documents, spreadsheets, and PowerPoint presentations. If you’ve got a PowerPoint presentation to give in an hour and need to alter it, the Galaxy Ace is going to allow that to happen. How Do the Specs of the Samsung Galaxy Ace Compare? The 5 MP camera is a point of contention for those who use this smartphone. Although using the camera is relatively easy to do, the imaging qualities of the images that are taken are somewhat lackluster. Video recording only occurs in 480p, which means it falls behind the capabilities of other smartphones that are at lower price points. On the other hand, users won’t have to fall for the temptation of having a different colored phone introduced to them after they purchase the stock model of this one. 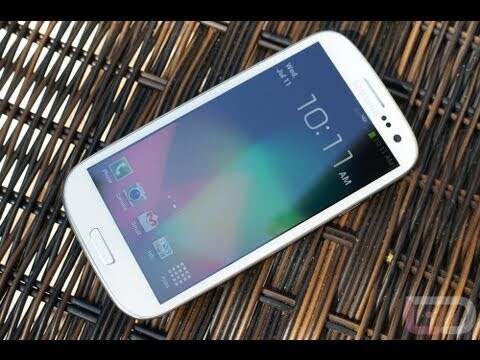 That’s because the Galaxy Ace comes with a pair of back panels that are interchangeable so that the look of the phone can be changed. The visual aesthetics of the phone itself are reasonably appealing, although the blocky menu button in the central button is a bit oversized when compared to the touchscreen that is a bit undersized. The button placement is a bit of an issue with this phone. If the touchscreen were 4 inches instead of 3.5 inches, the button placement would be reduced just a little and placed a little lower on the phone. This would prevent many of the accidental button pushes that tend to happen when trying to take a call with this phone. Most people will wind up holding the phone in such a way that the sleep button is depressed, further adding to a learning curve that could be quite frustrating. What About Its Battery and Other Features? The Samsung Galaxy Ace has been equipped with a reasonably strong lithium-ion battery that has a 1350 mAh rating. In practical terms, it means that this phone has about 6 hours of talk time on a single charge if connected to a 3G network. Using an Edge or 2G network will about double the amount of talk time that users will receive. Standby times are about 400 hours on a 3G network or about 600 hours for a 2G network. This phone is GPS equipped and offers Bluetooth and a stereo FM radio with RDS as well. It plays most multimedia files, so it can double as an MP3 player if desired. Connected to a charger or computer with the mUSB v2.0 port and save your data by connecting to Wi-Fi. The memory and internal storage of the phone, however, are minimal at best. 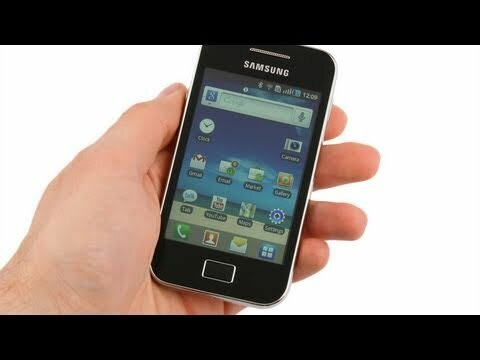 It has just 278 MB of RAM, so some of the latest apps aren’t going to run very well on the Galaxy Ace. There’s only 158 MB of internal storage as well, but the mSD slot recognizes up to 32 GB of external storage. A 2 GB external storage card is included with the purchase of the phone. What the Verdict on the Samsung Galaxy Ace? The Galaxy Ace is designed to be an affordable alternative in the Galaxy series of smartphones. Affordable is the key word here as the options and features are definitely downgraded, even from mobile phones of other brands at this price point. If you are partial to the Samsung brand and want an entry level smartphone, then the Galaxy Ace is a viable option to consider. The document and photo editing capabilities are nice to have on hand, even if the video recording is only at 480p in total. It’s a good first smartphone or backup phone in case the primary mobile phone goes missing or needs to be replaced for some reason. It has just enough features to be useful and a fairly affordable price. Is it the best phone at this price point? That’s something that each shopper will need to determine on their own because the Samsung Galaxy Ace is designed to meet specific niche needs. One of the most exciting editions to the Samsung line of mobile phones as of late is the Galaxy A3. This smartphone offers an aluminum frame for users to enjoy instead of a plastic one, is beautifully lightweight, and has the super AMOLED display that many have come to expect from Samsung. In short, this particular smartphone looks just as good as it sounds like it does. Here are some of the specs that make this phone stand out. It’s just 6.9 mm thick, offering users a slim design that is comparable to the Apple iPhone 6. The 4.5 inch touchscreen offers a 540p resolution and a 245 PPI pixel density for reasonably good images. A 1.2 GHz Cortex A53 quad core processor helps to keep this phone moving quickly. 1.5 GB of RAM comes standard, as does 16 GB of internal storage, and the mSD slot can support an additional 64 GB of storage. The Galaxy A3 also comes in a wide variety of models. There’s even an LTE model for those who wish to have that network capability. All of this means that one thing is for certain: this smartphone was designed with the average user in mind. What Are the Features of the Samsung Galaxy A3? The standard features that come with the Galaxy A3 are comparable to about any other smartphone at this price point. A digital compass and proximity sensor come included with the design. The accelerometer is responsive and changes the screen perspective quickly when the phone is turned. Threaded view SMS and MMS compliment the email and instant messaging features quite nicely. It’s equipped with a standard HTML5 browser and a Java emulator will help gamers be able to enjoy a diversion when needed. The battery is a lithium-ion 1900 mAh battery, but it is non-removable, which will disappoint some buyers. Most users will find that they can get 1-2 days of normal use out of the Galaxy A3 before it needs to be charged again. Data consumption will reduce battery life, but not as dramatically as seen in other smartphones. Connect through the mUSB port or Bluetooth for file transfers and turn on the FM radio if you need something to listen to during the day. Wi-Fi has been included with the Samsung Galaxy A3, as has hotspot functionality, but there isn’t any dual-band support on the phone. 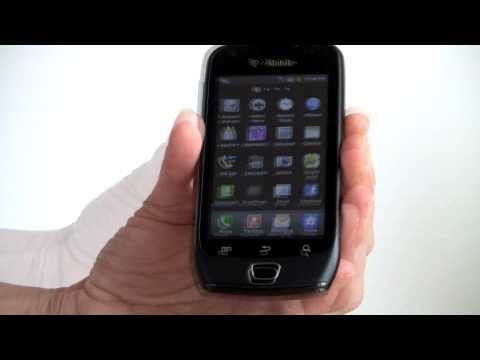 This smartphone is GPS enabled as well and offers users the ability to assign MP3 files or WAV files as their ringtones. All in all, it is a feature rich smartphone that might not compare completely to the premium smartphone market, but it comes pretty close. If you have online photo albums, like on Facebook or Picassa, and you keep your phone connected to a data source, then it is possible to browse through all photos that have been taken whether they are online or local. Facial recognition will help to filter out images so that certain shots can be instantly recognized and then accessed. A Functional Dual Camera Design For One? Many smartphones that are equipped with dual cameras have one decent primary camera and an almost worthless front-facing camera. The Galaxy A3 offers users two very functional cameras instead. The primary rear-facing camera has an 8 MP resolution and offers face detection, panoramic shots, touch focusing, and an LED flash. The front-facing camera offers similar features and a 5 MP resolution, so selfies have been made easy with this mobile phone. Switching back and forth is with one touch ease. 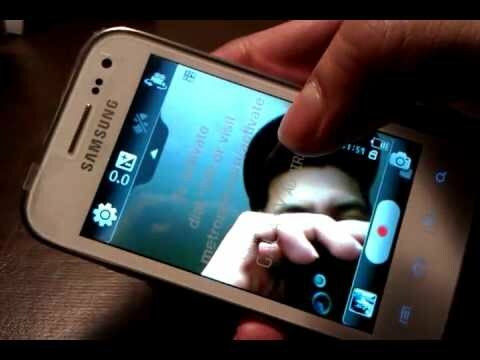 The one issue that may come up is a slow video chat connection because of the resolution of the front-facing camera. Slower network or internet connections could make image viewing nearly impossible at times. The rear facing camera actually sticks out from the back of the phone, so the 6.9 mm thickness isn’t entirely accurate if the camera is taken into account. The extra spacing is protected by metal framing, so damaging the camera by slipping the phone into a pocket isn’t really an issue. Users can record videos in 1080p and then quickly upload them to their preferred social network or send them to a home email account for future distribution. An added advantage that’s been incorporated into the user interface of the Galaxy A3 is a private mode. This privacy selection will help to password protect voice recordings, photographs, videos, and other files that you don’t want anyone else to be able to see if they get their hands on your phone. Apps do not have the ability to access these files unless the private mode has been unlocked and it works separately from the locking security features that are on the main screen. What’s the Verdict on the Samsung Galaxy A3? Android phones tend to drain life out of their batteries quickly, which means the two different power saving modes on the Samsung Galaxy A3 are a nice feature. The ultra power saving mode is especially nice when battery levels reach less than 10%. It will eliminate all of the advanced functions of the phone and even alter the appearance of the home screen so that power reserves can be maximized. Users will also like the ability to alter the different sound frequencies that are heard in the music being played. Bass and clarity can all be adjusted to provide a fairly authentic sound, all things considered. When these final features are combined with all of the other advantages that are provided by the Samsung Galaxy A3, it’s easy to see why this phone has become a top model. It’s durable with the metal case. It offers easy connections to social networking, multimedia, and online photo albums. The sound quality is excellent and adjustable. It’s thin, has two functional cameras, and offers enough processing power and memory to allow for a reasonable level of multitasking. For those who are in the market for a new and modern smartphone, the Samsung Galaxy A3 provides a lot of value for a very fair price. Is the Duracell Powermat for the Galaxy S3 really the answer to all your low battery woes? No one is going to deny that the Galaxy S3 is a powerful device, but the battery has drawn a few complaints from a few individuals. Although the problem is often that people are simply allowing too many programs to run in the background while the smartphone is on. Regardless of how you feel about the battery, it’s nice to have the energy you need. This is particularly true if you’re the kind of person who is constantly on the go with their device (which is just about all of us these days). Carrying an actual charger around is fine, but there are going to be times when that’s just not a realistic measure. This is where the Duracell Powermat for the Galaxy S3 smartphone can prove to be a serious blessing. When it comes to battery life and battery power, few brand are more recognizable than Duracell. This is a company that has likely been meeting your needs for reliable batteries of all shapes and sizes for decades. It’s just common sense that they would want to get in on the smartphone business. But in the field of wireless chargers for your Galaxy S3 device, is Duracell really the best way to go? The Duracell Powermat for this particular smartphone device comes with a number of tools and features. You’re getting a backup battery, the ability to juice up three devices simultaneously, a universal power supply, and much more. You also get the warranty that comes standard with virtually all Duracell products. One of the best things about this Powermat wireless charger from Duracell is the fact that it is capable of charging just as quickly and effectively as your standard AC charger. Another nice feature that goes along with this wireless charger is its weight and size. This charger is very light to hold, very easy to carry around, and has dimensions that makes it easy to set up for charging just about anywhere. At seventy dollars, the price tag is definitely competitive to some of the other wireless chargers that are currently available on the market at this time. One concern some people have with these types of chargers is whether or not they will be able to know they’re getting the best level of charge possible. That’s really nothing to be concerned about with this particular device. The Duracell Powermat Galaxy S3 charger utilizes a slight magnetic attraction when your device is placed on it. This very slight attraction will guide your phone into the optimal position to be charged. Just to make sure you’re completely confident that the phone is in an optimal position and is charging properly, the device features gentle audio indicators for placing or removing the device. Light indicators further your ability to know when your phone is charging properly. Those light indicators also let you know when the phone has finished charging. Unfortunately, the Powermat is specific to the Galaxy S3 phones. You may or may not be able to charge other devices with this unit. If you have an iPhone 5 for example, you’re probably going to wind up having to purchase the Powermat charger that has been designed for iPhone 5 devices. The complaint that our phone is never properly charged when we really need it to be is a common one. It makes sense then that companies such as Duracell would answer the call for a charger that can give us the ability to keep our phone going no matter where we are. In terms of all the wireless chargers that are currently available on the market, this is an excellent one to consider. The power is there, and the features are such that you should be able to keep your phone properly charged at all times. No one should have to rely on the AC charger for everything under the sun. There are going to be times when this just isn’t a realistic way to go. If you’re looking for a wireless charger that you know you’re going to be able to rely on, the Duracell Powermat Galaxy S3 charger is definitely worth your attention. The price is solid, the performance quality is there, and the name brand value may give you an additional peace of mind. 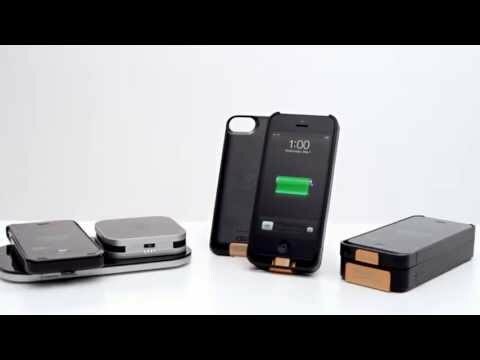 With this device, you certainly won’t have to worry about keeping your phone charged as much as you used to. Are you thinking about stepping up to a smartphone? Do you have a tight budget that demands a new smartphone at a great price? If so, then the Samsung Exhibit 4G could be the perfect phone to meet your needs. This phone works with the Gingerbread v2.3 operating system from Android, offers users two cameras, and has a reasonably fast 1 GHz processor that will allow for user multitasking. Although the virtual keyboard is a bit compact and the camera software tends to lag just a bit, the budget-friendly price of this smartphone gives it a compelling case during the shopping process. As a candy bar phone, the size of the Samsung Exhibit 4G is surprisingly large. It has corners that have been rounded at the top, but instead of rounded corners on the bottom, Samsung has given the phone a cut angle for an interesting visual appeal. At 4.7 inches in height and 2.3 inches in width, this phone weighs just a little more than 4 ounces. It’s not a phone that looks like you’ll have spent lots of money on it, but the soft touch finish makes the phone feel soft and comfortable. The finish also helps to eliminate fingerprint smudging issues that can creep up with phones like these. The touchscreen offers 16 million color support, but is only 3.5 inches in size. The screen itself is responsive and has a nice brightness to it, but the glare from direct sunlight makes the phone almost impossible to use under those conditions. Users will want to put the phone into landscape mode with the accelerometer to do texting on the virtual keyboard. Browsing the internet is fine enough with the Exhibit as long as you get a mobile optimized website. 512 MB of RAM comes standard on this phone. On top of the Android operating system is Samsung’s proprietary TouchWiz user interface that isn’t always user friendly. If you like to pack in a lot of app icon shortcuts onto your homescreens, then you’ll love this phone. The initial setup has 5 different screens that can be accessed and users can setup two more screens as well. Gesture commands can help users access all of their screens at once, which is a nice feature, but the scrolling can sometimes be problematic since users have to use a swipe command to switch between the screens. Accessing the phone’s features is simple enough with the exterior commands. 4 GB of storage comes standard with the mSD card, but it can recognize up to 32 GB of storage in total. The mUSB is curiously on the top of the phone instead of the bottom, situated right next to the 3.5 mm audio port. Watch out for the plastic covering on the mUSB – it tends to want to break off after some use. What About the Features of the Samsung Exhibit 4G? At a budget-friendly price, the 4G connectivity of this phone is going to be its primary feature. The Exhibit isn’t the most feature-rich smartphone on the market today, but it does carry a certain usefulness with it. Users will find the dual camera design to be useful enough, although the forward facing camera above the touchscreen is just VGA quality. The primary camera offers a 3 MP resolution instead, but there isn’t a shutter button, so the software for the camera has to be loaded in order to uswe it. It comes with GPS, Bluetooth, and Wi-Fi support, however, so connecting to a preferred network is easy enough to do. The Samsung Exhibit 4G also allows you to set up a complete accounts system so that you can share to virtually any network. It’s possible to merge all of your online email accounts into this one notification system. Sync all of your contacts and your calendars together from these accounts as well so that you have an all-in-one contact system. Users will be able to even access their Twitter and Facebook accounts directly and even upload to services to Flickr. These features are nice, but the syncing or importing of contacts into the Exhibit can sometimes be a frustrating process. Information errors happen frequently during the process, which requires a manual correct to the contact listing. In some ways, it may be easier to just input each contact directly since each contact needs to be manually checked to see if it is accurate. Beyond that, users have the opportunity to access the full suite of Google apps and services that a smartphone should have. Google Maps with voice navigational directions is the highlight of these features, but Talk, Places, and YouTube also come pre-installed. The Exhibit puts users into the Android marketplace and the included music player is pretty standard, but does it’s job fairly well. Could the Exhibit Come With Too Many Apps? With the available storage, users are only going to get about 1 GB of workable space on their phone for downloads, apps, and images they wish to share. Many of the apps that come with the Samsung Exhibit 4G can’t be uninstalled either, which could be problematic for some users. Some of the apps, like Skype, are nice and useful. There are some TV and movie streaming options available as well, while AllShare allows users to share multimedia onto DLNA devices. The camera is a little problematic during video calls, but it works fine enough. The cameras and camcorder features are standard. Timers, white balancing, and exposure tools are all included to help tinker with the perfect shot. Indoor pictures are taken fairly easily with this smartphone, but action images are very difficult to capture. Images that are in the indoors tend to look a little dull and muted, but it’s still better than not having a camera at all. The replay of video on the Exhibit is nice and smooth. Although there isn’t image stabilization on the recording tools, users will find that they can walk and take videos without having the bouncy, jerking motions that typically come with a mobile camera. The volume is rather authentic without all of the background white noise and the colors are pretty good. This smartphone also allows uses to export their videos through email or to their preferred social network. Equipped with a quad-band design, the call quality on the Exhibit is above average. Voices tend to sound just a bit hollow over the phone and sounds from the background can be heard around the voice connection. Volume levels are good and can be adjusted. The loudspeaker conversations are equally as good, although it tends to mute the voice inputs that are sent from the Exhibit. Most connections are strong, don’t have interference, and the virtual keypad is easy enough to access and use. The 4G speeds are definitely evident when using the exhibit. Although the Exhibit is capable of downloads speeds of up to 21 Mbps, much of the actual user experience depends on the local connections that are offered. The average user will typically see speeds that are about 30% of the stated capabilities of the phone. The primary benefit for the 4G connection comes from internet browsing, however, as it allows users the capability of downloading full websites instead of just the mobile friendly options. The Samsung Exhibit 4G comes equipped with a lithium-ion 1500 mAh battery that’s rated for around 6 hous of talk time, but using data shrinks this time dramatically. Most users will find that they’ll need to charge this phone once per day. It is a little difficult to use this phone with just one hand. Part of that is because of how smooth the phone is along the back. There’s really no straight edges to the design of the phone, so the natural tendency of it is to slip out of the hand. What Is the Verdict on the Samsung Exhibit 4G? 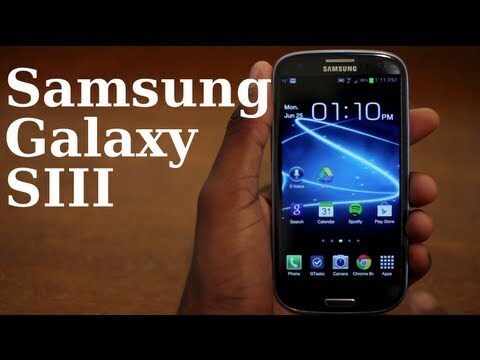 For those who want a 4G phone and like the Android platform, the Samsung Exhibit 4G offers a tempting proposition. Although it is far from a premium smartphone, it does have enough strength in its hardware to provide a reasonably good user experience. The reduced screen size compared to other smartphones could be problematic to some users and the camera lag times could be an issue for those who love mobile photography, but overall this phone as the goods to meet most needs. Any complaints for this phone are relatively minor. It’s an inexpensive smartphone that connects to virtually all business or social networks, offers video chat functionality, and has a good responsiveness outside of the shutter functioning on the camera. Heavy data consumers will want to bring along a backup battery pack or their charger so their phone won’t die on them, but otherwise the Samsung Exhibit 4G is a solid, budget-friendly phone that is definitely worth a consideration.